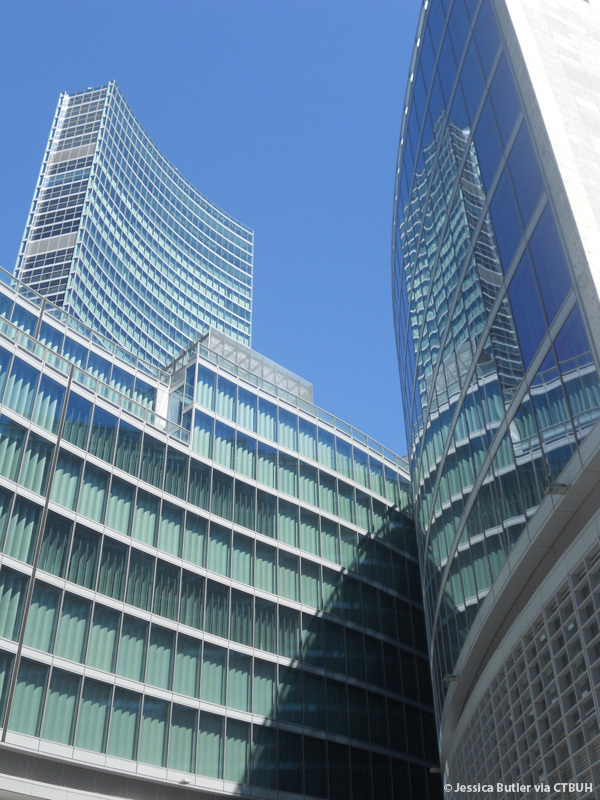 According to Pei Cobb Freed & Partners, Palazzo Lombardia’s distinctive form is composed of sinuous interweaving strands of linear office space, seven to nine stories in height; recalling the mountains, valleys, and rivers of Lombardy. This assemblage of gently curved glass-walled workplaces, readily adaptable to changing functional requirements, allows the building to integrate with its urban context while creating unique landscaped public spaces that are open and inviting to all. 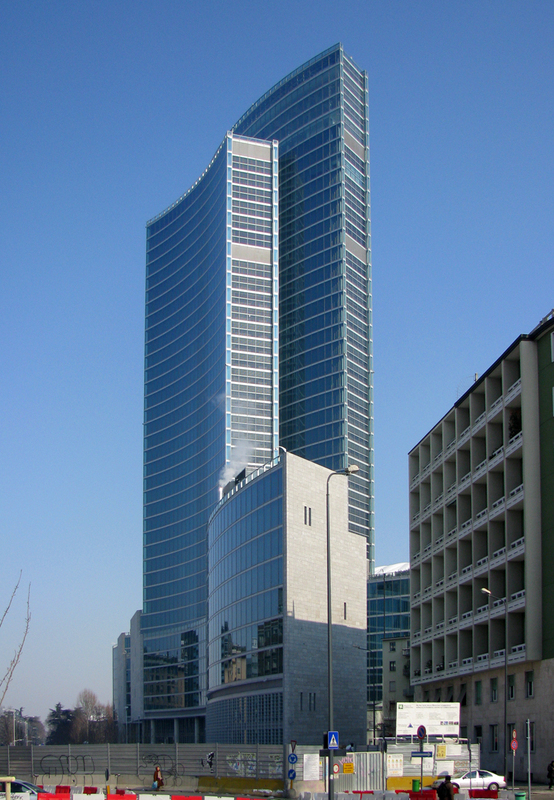 In 2004, the Lombardy Regional Government launched an international competition to design what would be the first government building constructed in Milan in half a millennium. 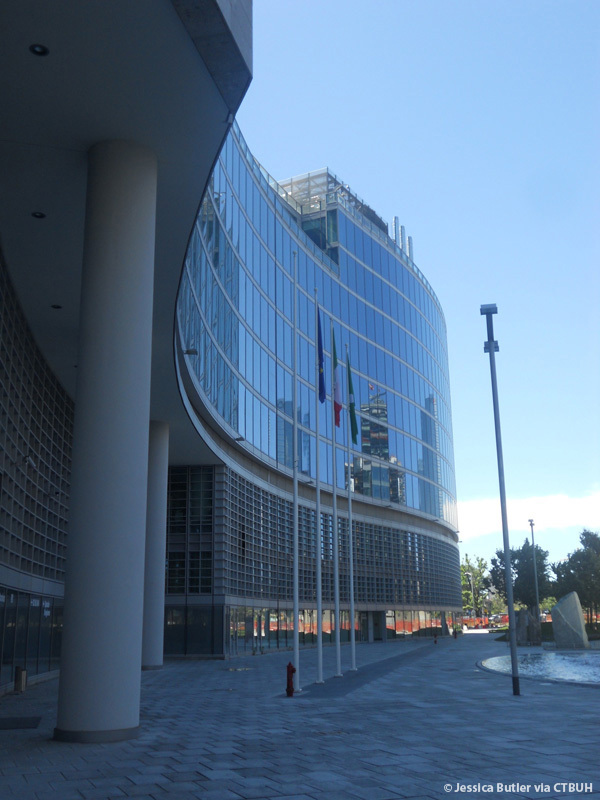 The new building had to not only house administrative and support functions but also fulfill several ancillary goals: create efficient and flexible office space easily accessible to the public; provide outdoor public gathering spaces to connect with cultural amenities and enliven the neighborhood; and incorporate sustainable building practices as a modern precedent for new development in Milan. The curving, glazed forms of the new building podium integrate effortlessly with the existing buildings and spaces surrounding it. The 14-meter width of these strands of flexible office space allows for maximum daylight penetration, and alternately allows the formation of leaf-shaped voids between them. 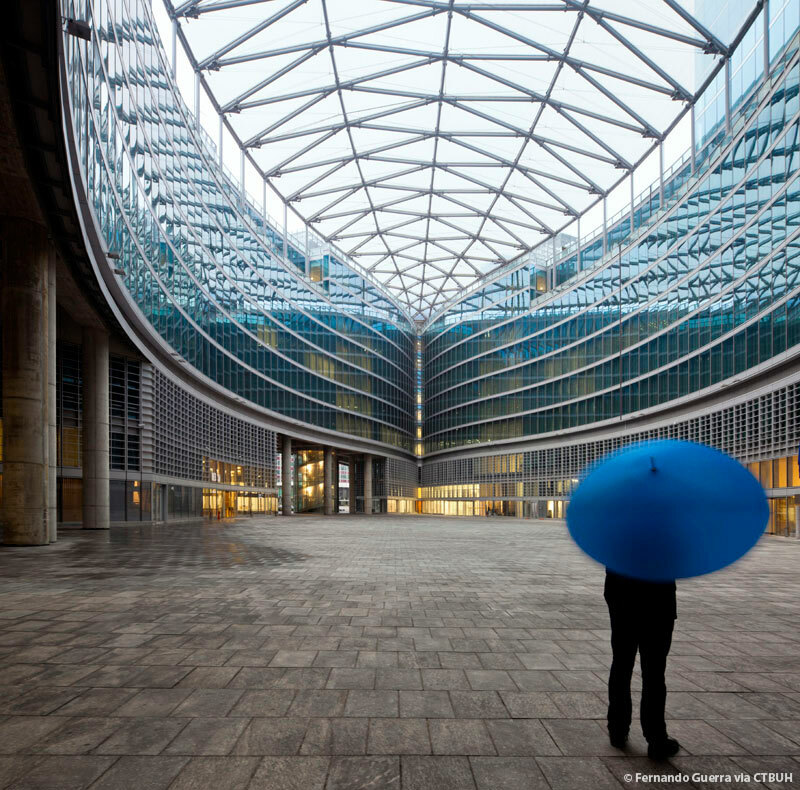 At the core of the complex in one such void is a large, open-air plaza, the Piazza Città di Lombardia, which is covered with a transparent ETFE canopy (a lightweight plastic alternative to glass) and is completely open to the public. This expansive space, whose curved roof recalls Milan’s Galleria, connects directly to two adjacent outdoor green spaces. At ground level, the podium strands are occupied by shops, restaurants, cafés, and cultural facilities to further draw users in and promote a sense of community within the complex. 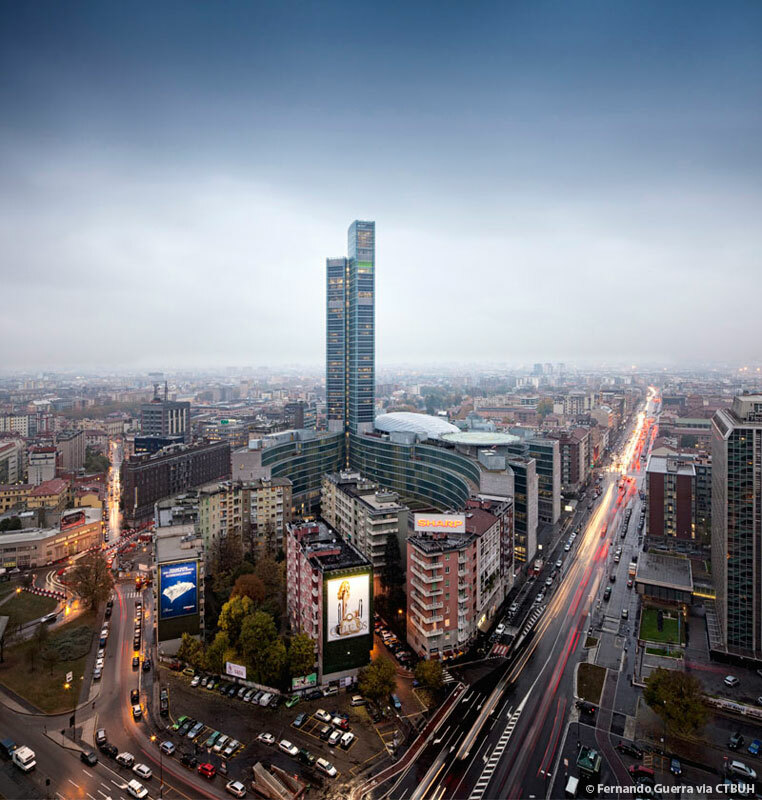 Owing to their modest scale, the interweaving strands relate well to adjoining residential neighborhoods while still allowing a slender tower, shaped by the intersection of two curved fragments, to celebrate the new seat of government on the skyline of Milan. 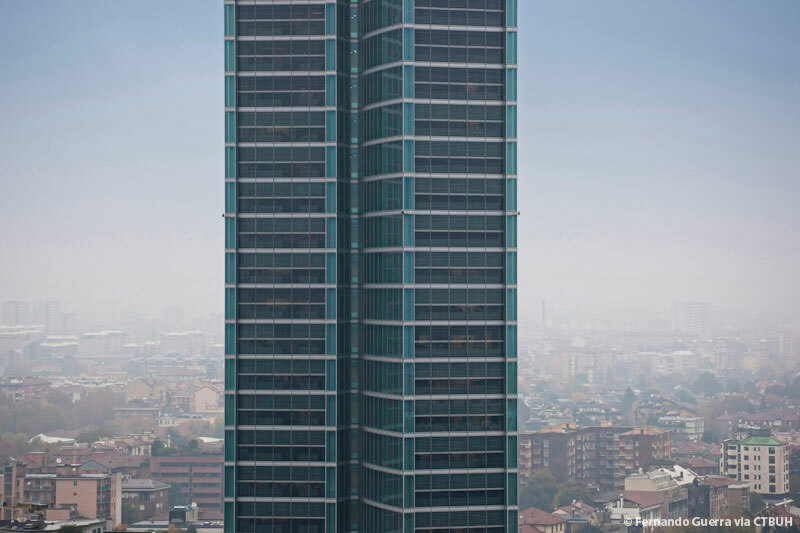 Reaching 161 meters, the tower contributes an emblematic presence on the skyline complementary to the neighboring Pirelli Tower (1958), which had been the tallest building in Milan until the completion of the Palazzo. 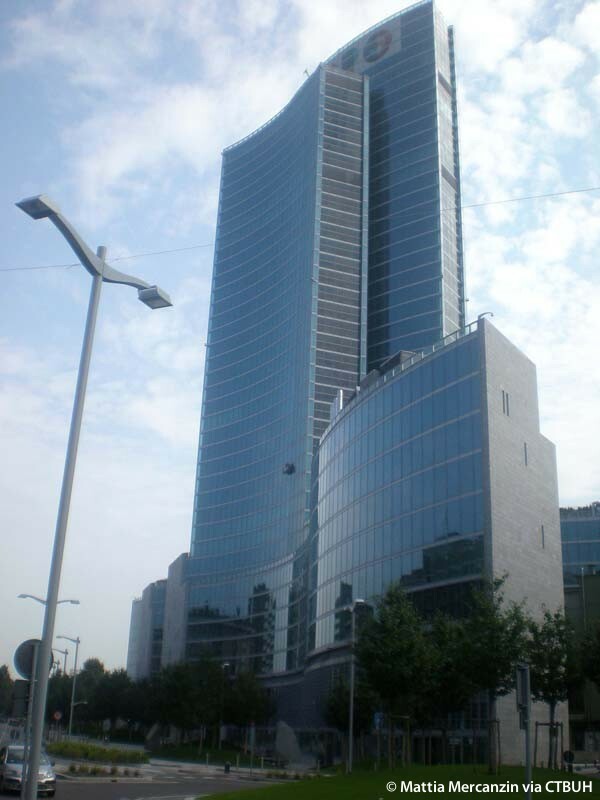 Whereas the form of Gio Ponti’s great work is closed, singular, and convex, the Palazzo Lombardia tower engages it in conversation with a form that is open, dual, and concave. While the former meets the ground as a solid shaft, the latter virtually dissolves into curving strands of building and the plazas they enclose. 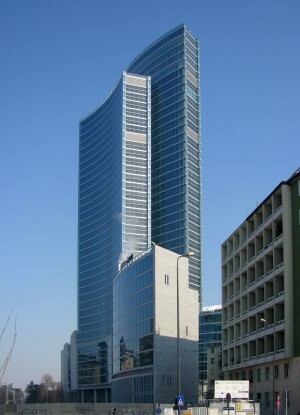 The lively formal dialogue between the two structures both evokes and enriches their intimate functional relationship: the Pirelli Tower houses the existing headquarters of the Lombardy Regional Government and will continue to serve as its institutional base, while Palazzo Lombardia will serve as its administrative seat. At the top of the new tower, a roofed belvedere is adjoined by an open terrace at the level below. 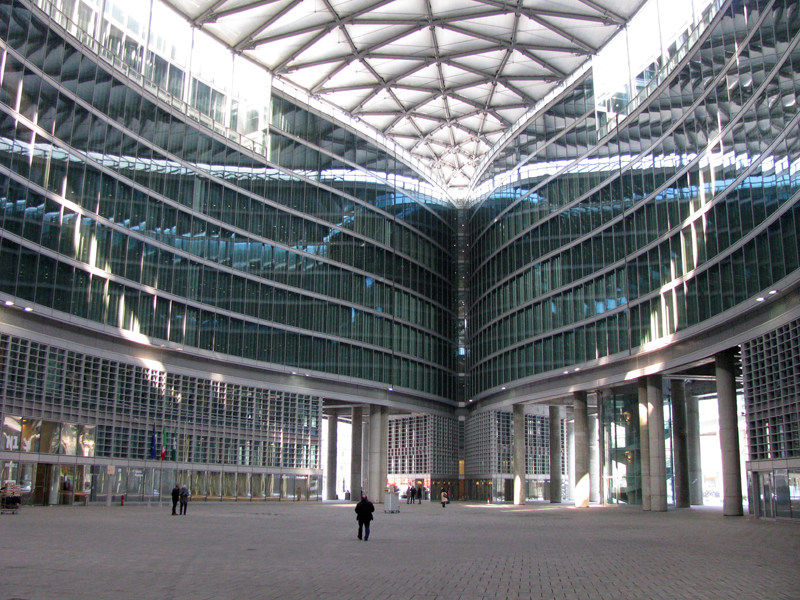 This amenity has an important symbolic meaning: just as the piazza at ground level, created for the benefit of the citizens of the Lombardy Region, provides the setting for the Regional Government’s offices, so the public space above places the people whom the complex serves at its peak. The façade is composed of two complementary systems. Local stone, applied to the end walls facing the streets, links the complex to the historic urban fabric of Milan, while the curvilinear glass curtain wall symbolizes the transparency of the institution housed within. 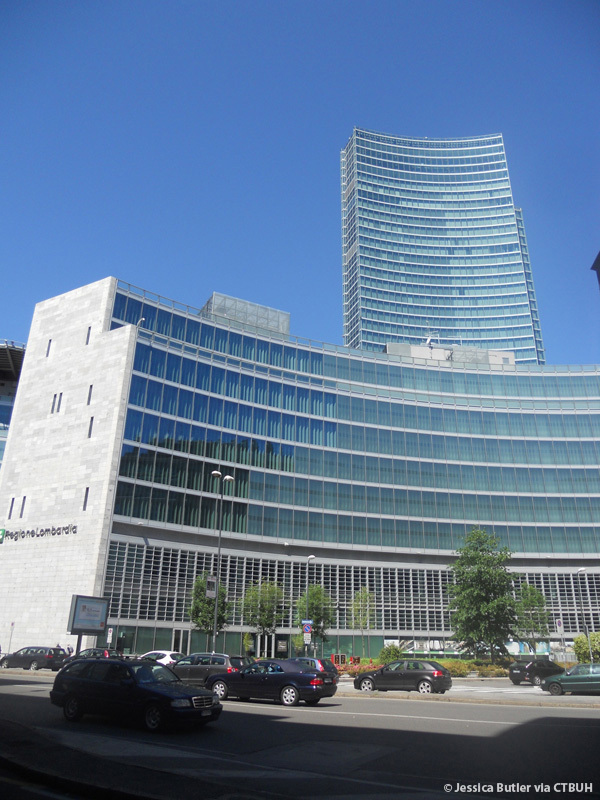 Palazzo Lombardia makes use of several sustainable strategies. One of the main features of the building is the integration of an active climate wall assembly. The one-meter-deep wall at the perimeter of the building creates a thermal buffer zone to minimize heating and cooling loads. Return air is pulled through the cavity of the wall to temper the climate zone and further improve its performance. Within the wall are vertical louvers of perforated aluminum that automatically rotate in response to sun angles. This system minimizes direct solar gain while promoting daylighting to reduce artificial lighting needs. The perforation of the louvers ensures the entry of daylight at all times, regardless of the configuration. 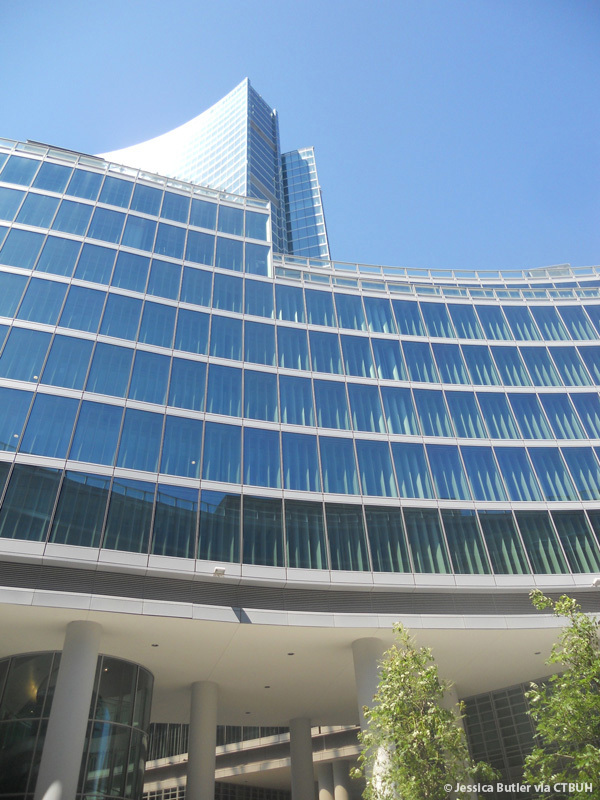 The heating and cooling energy supplied to the building is through a geothermal heat pump system connected to an underground river. 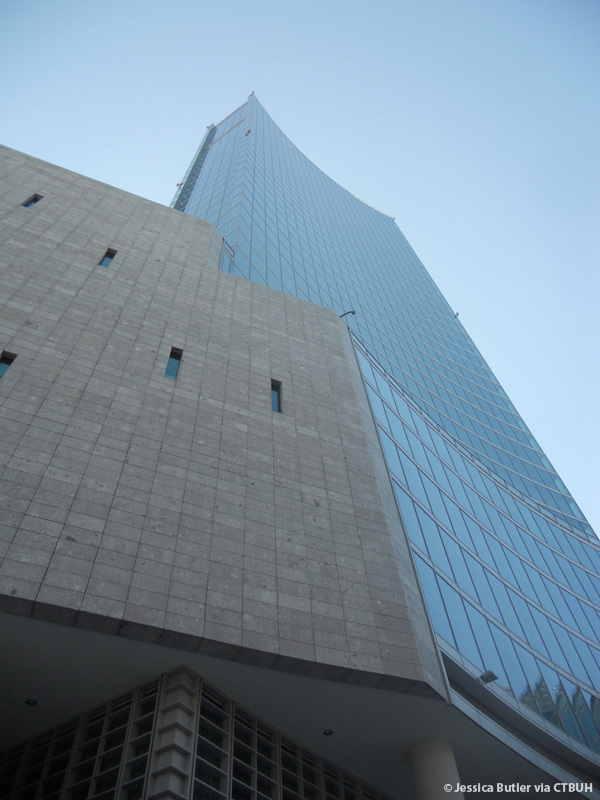 Also contributing to the energy supply are photovoltaic panels laminated into the south façade of the tower. 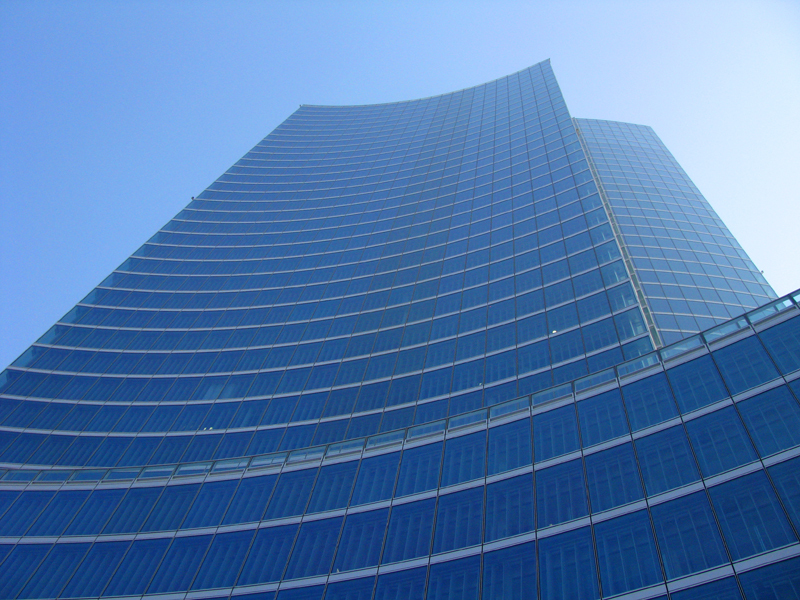 The integration of the building’s environmental systems in tandem with passive systems and its architectural expression creates an efficient yet elegant high-rise building.